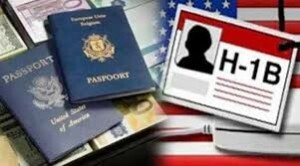 There is growing concern that the H-1B visa in the United States is being targeted by the Trump administration following the announcement that starting on 3rd April the U.S. Citizenship and Immigration Services (USCIS) will suspend the so called ‘premium processing’ for the H-1B visas for an initial period of six months. The H-1B visa allows foreign workers to work in the US for companies working within tech, medicine, engineering and maths and has been a vital source of skilled labour for many companies. A total of 65,000 visas are allowed each year to be granted but recent reports have stated that the visas will be severely restricted or even abolished under the new visa regime imposed by the Trump administration. In the run up to the election Donald Trump openly criticised Mark Zuckerberg over his reliance on the H1-1B visa stating that this was a threat to jobs for American people. The government has said that this is a temporary measure allowing for the backlog of applicants to be processed but many are concerned that this is the beginning of the end of the H-1B visa leaving many companies and workers unsure of their future. Many large corporates in the United States rely on hiring workers from overseas to fill their skills shortage. And it seems that even those already working in the United States under H-1B are in danger of not having their visas renewed once they expire. Without the fast track processing employers and employees will have to wait six months to a year for their visas making switching jobs almost impossible and hiring overseas workers a massive headache. Tech companies already facing skills shortages in the US are increasingly concerned that they will lose their competitive edge and many will be forced to relocate to other countries to fill their skill requirements. It remains to be seen whether this is the beginning of the end for the H-1B visa. ← What Does It Mean If I am an Illegal Immigrant? It is real, but I want to know more information about USA H1B Visa. Morevisas is the one the best company its provide visa for going to further education, it’s good for establishing a career in abroad for better lifestyle.